We have carved a niche as a prestigious manufacturer, exporter & supplier of Recycled Denim Cushion. We offer recycled denim cushion that is made using used denim . Our recycled denim cushion is s widely appreciated amidst our clients. Clients can avail recycled denim cushion from us at competitive prices. This is very low price cushion. We are making so many designs in this type of cushions. We are making pocket, belt, check, stripes. Designs we can make any size as you want. We can make any design as you want. This we have made from used jeans. No fresh fabric involved in this. we have carved a niche as a prestigious manufacturer, exporter & supplier of recycled jeans pocket cushion. We offer recycled denim cushion that is made using used denim . Our recycled denim cushion is s widely appreciated amidst our clients. Clients can avail recycled denim cushion from us at competitive prices. 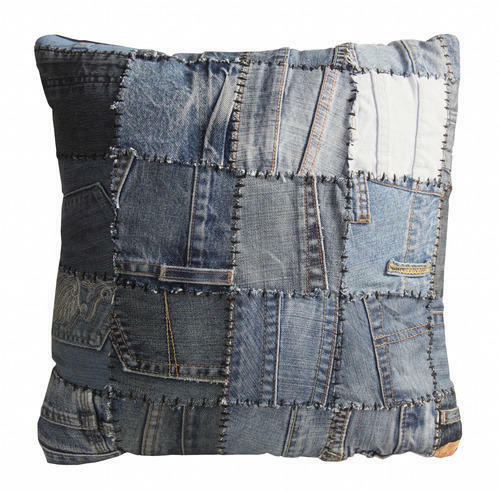 this appealing cushion with its patchwork design, the logan is hand made from reclaimed denim. The ultimate eco-patchwork cushion. Available in 40x40cm, 45x45 cm,60x60cm & 60x70cm as well as matching rugs. this is very low price cushion. We r making so many designs in this type of cushions. We r making pocket,belt,check ,stripes. Designs we can make any size as u want. We can make any design as u want. This we have made from used jeans. No fresh fabric involved in this. We have carved a niche as a prestigious Manufacturer, Exporter & Supplier of Recycled DENIM BELT Cushion. 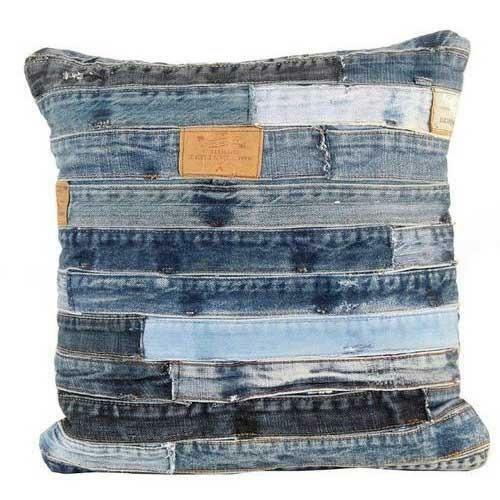 We offer Recycled Denim Cushion that is made using USED denim BELTS . Our Recycled Denim Cushion is s widely appreciated amidst our clients. Clients can avail Recycled Denim Cushion from us at competitive prices. 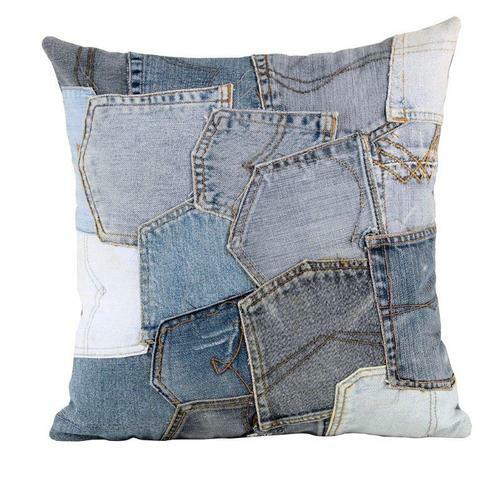 This appealing cushion with its patchwork design, The Logan is hand made from reclaimed Denim. The ultimate eco-patchwork cushion. Available in 40x40cm, 60x60cm & 60x70cm as well as matching Rugs. 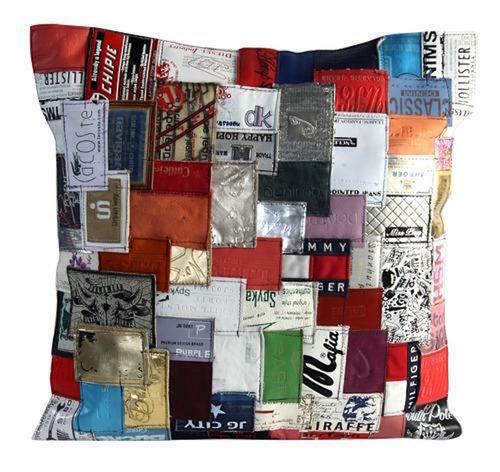 We have carved a niche as a prestigious manufacturer, exporter & supplier of recycled jeans cushion. We offer recycled denim cushion that is made using used denim . Our recycled denim cushion is s widely appreciated amidst our clients. Clients can avail recycled denim cushion from us at competitive prices. 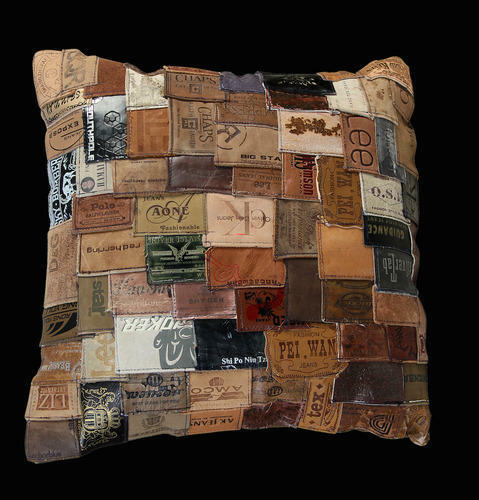 This leather label cushion is Reclaimed Leather Labels taken from preloved denim jeans. The ultimate Eco-Designer piece, hard wearing, unique and well made. Looking for “Recycled Denim Cushions”?